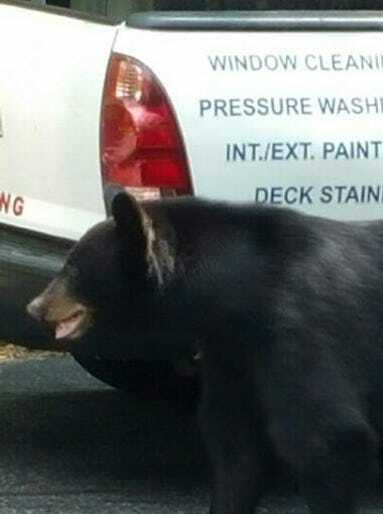 We all know bears have a reputation for eating your food, but it isn’t often that a bear will actually climb into your truck to swipe your lunch. However that’s exactly what happened to one man in Big Canoe, Georgia this past week. Business owner Gilbert Simpson walked outside and saw the entire incident go down. 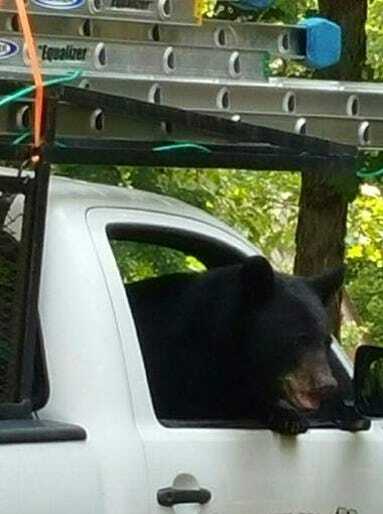 After skulking around one of his work trucks for a minute, a female bear climbed in through the window and started going to town on the food that was inside. 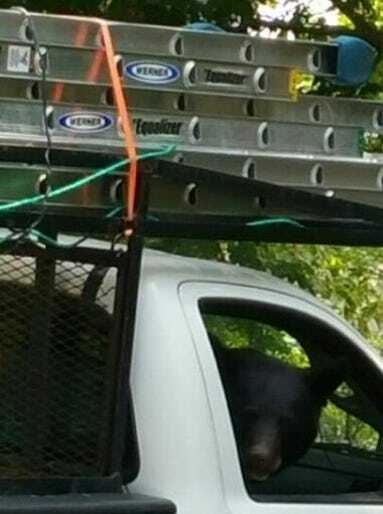 What was on the menu for the black bear? Grape soda was the main course, with her slurping multiple bottles in a Yogi Bear-like fashion. 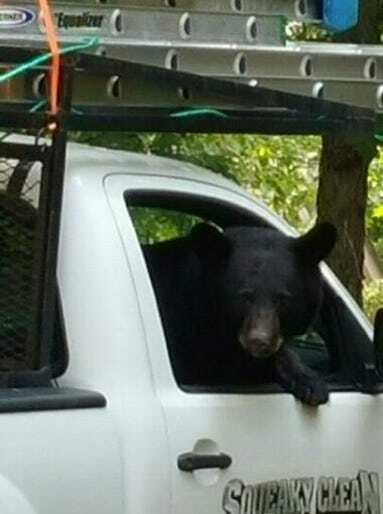 She also carried out some food to her cubs, exiting and entering the truck multiple times. Simpson’s truck when unscathed during the bear’s food run, and everything worked out just fine minus the stolen lunch and grape sodas. Shoutout to Simpson’s company Squeaky Clean that is displayed on the truck in some of these pictures. 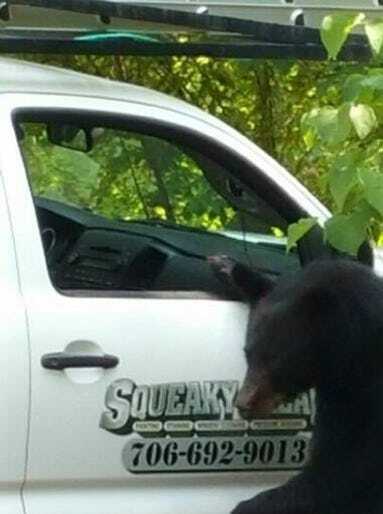 If you need a window cleaning and live in the Big Canoe area, Gilbert is your guy! Yeah I drank your grape soda, what are you gonna do about it?